A coalition of Palo Alto residents, including eight former mayors, is petitioning the City Council to fix the city's affordable-housing crisis now. The petition, which is spearheaded by Palo Alto Forward, a residents' group that advocates on housing and transportation solutions, has already garnered 1,026 signatures. The petitioners want the city to encourage construction of more studio apartments and housing over ground-floor retail, make it easier for homeowners to build second units on their property, allow housing with reduced parking-space requirements -- "car-free" and "car-light" housing -- in walkable and transit-accessible areas for residents who cannot own a car and encourage development of new senior housing. Palo Alto Forward is pushing the reform with an eye for it to become part of the city's updated Comprehensive Plan. The city is currently crafting an update of this master plan for housing, development, transportation and quality of life. The plan will be the city's guiding document through 2030. "The cost of living in Palo Alto has skyrocketed. As a result, we are seeing long-time neighbors move because they can no longer afford the rent," the group's petition states. "It is not unusual for Palo Alto workers to commute in from areas as far as Stockton, Gilroy and Tracy, putting severe strain on our roads and our climate. We are on the path to being a city composed only of long-time landowners and wealthy newcomers. "This situation is the result of city policies that have discouraged new housing while encouraging more office space." In addition to members of Palo Alto Forward and the group's supporters, the list of people who have signed the petition includes former mayors Nancy Shepherd, Sid Espinosa, Peter Drekmeier, Dena Mossar, Lanie Wheeler and Leland Levy; former Planning and Transportation Commission Chair Mark Michael and former Architectural Review Board Chair (and former planning commissioner) Lee Lippert. In explaining his support, Lippert wrote that it is the city's "moral responsibility to provide an equitable variety of housing types, for people that perform both low paying jobs, as well as high-tech works earning top wages." Lippert also noted that if the city's doesn't build enough low-income housing, "we are simply adding to the jobs housing imbalance, by having low-wage workers drive to their Palo Alto jobs; adding traffic and clogging our arterial roads, increasing our carbon footprint, and parking in our local neighborhoods." The petition notes that Palo Alto has the nation's highest median rent, as well as the region's highest jobs-to-housing ratio (with about three jobs for every employed resident) because of the city's policies. While the city has limited office growth in its retail core to rein in parking and traffic congestion and help reduce the erosion of its retail stores, the housing side of the equation has not been addressed, the petitioners wrote. The petition asks the council to allow homeowners to add secondary units on properties that can accommodate multiple-generation households and caretakers -- a reform that the City Council is set to consider later this year. Ordinances currently require two parking spaces, one covered and one uncovered, for each unit in most residential zoning districts. These requirements, as well as other distance regulations, make it nearly impossible for residents to build second units, proponents of cottages and secondary units have said. Current policy also requires developers to build office space into any new four-story building in a commercial district. But the petitioners are asking for the city to encourage adding apartments and condominiums over the ground-floor retail. For senior housing, the petitioners are asking the city to include alternatives such as co-housing, home sharing and mixed-use senior communities that include retail and services. "A true fix will require a long-term focus and deep commitment. We believe, though, that we can maintain the character of our community while making changes to alleviate this imbalance. We ask the City Council to plan for more housing so that Palo Alto can be the community of opportunity it has historically been: a family-friendly city that welcomed interesting thinkers and doers of all ages and all incomes," the group wrote in the petition. Why not Atherton Forward? Why not Stanford Forward? These two have the lowest density housing. They employ largest number of low and mid-income workers who do not live in Atherton or Stanford. This will drive will go nowhere. Housing costs are a regional problem. Of course, there is always East PA.
Why isn't that a low cost solution? Add a few yoga studios and acai bowl stores to EPA; problem solved. Does Palo Alto Forward support putting the affordable housing in the rich neighborhoods of Palo Alto, where there is a disproportionate job base for low wage workers? This has "gentrified" the area around downtown Redwood City, and has increased the rent of the older housing stock. The petitioners fail to mention that Palo Alto has over 1,000 BMR (Below Market Rate) Units, providing housing thousands of low income households. These same petitioners are the ones who helped to exacerbate the jobs - housing imbalance through their continual approvals of variances and zoning changes, allowing commercial development projects to exceed what would normally be allowed on a property. The only effect of weakening the R-1 zoning will be to reduce the quality of life, without reducing the cost of housing. Quite frankly, with the petitioners record of what they've done with the city, I would suggest doing the opposite. "the list of people who have signed the petition includes former mayors Nancy Shepherd, Sid Espinosa, Peter Drekmeier, Dena Mossar, Lanie Wheeler and Leland Levy; former Planning and Transportation Commission Chair Mark Michael and former Architectural Review Board Chair (and former planning commissioner) Lee Lip"
A basic but partial Who's Who of Palo Alto overdevelopment. This is all hypocritical and disingenuous when PAF continues to avoid putting energy into helping the existing low income families at Buena Vista. When they talk about low-income housing in the abstract, in a way that simply carries water for big developers, while doing nothing substantial to actually help existing low income residents trying to save their homes, they just come across as hypocrites of the highest order. Palo Alto housing costs didn't skyrocket from nothing, in fact, loan rates for mortgages are at historic lows. The problem of affordability here did not start with this generation or the last. But allowing a contingent that wants higher density did create more of a move to densify further. This is a struggle for the direction of the City, and whether residents want to give it over to big developers or maintain some quality of the life for residents. PAF members: put your money where your mouth is and establish a crowdfunding investment tool for affordable housing. Get some bigtime partnerships with organizations like Habitat for Humanity. Go spend some time in East Palo Alto, it is neither scary nor horribly expensive (no one is commuting to Tracy out of necessity, but choice). I do think one idea deserves real consideration. Elderly people who do not wish to vacate their homes should be allowed to co-own or co-house with families who help them. Intergenerational housing could be a really good thing for the community, too. Of course, just like finding roommates, getting into such a relationship is fraught with hazards, especially for the elderly. Maybe if there were an organization that helps vet and monitor such arrangements, it could work. My elderly neighbor wanted a dog, and he got one from an organization that is basically like a child adoption agency - they match pets with elderly people only after checking out the homes and circumstances really well and then continue to monitor how things are going. It's an odd alliance between longtime pro-development city people who want to build things, and Palo Alto Forward which wants to densify the city for more well-paid hipsters. Notice how there's a lot in here about building things, but nothing about how to make any of it "affordable" to anybody but Googlers and Palantirians. Every insurance company in America knows that high-density housing causes high crime rates, high auto accident rates, and high rates of health and psychological problems because of the overcrowding. That in turn raises the costs of homeowner's insurance, renter's insurance, auto insurance, and health insurance. Why else do you think it costs more money to insure a 2 bedroom 1 bath condo than it costs to insure a 3 bedroom 2 bath house? What are PAF and its supporters going to do about the influx of rich foreigners who are pushing up the price of housing with their all-cash offers? Have they paid any attention at all to the huge increase in evictions of tenants in places like San Francisco and Burlingame so that owners can continue to gentrify and raise rents even more? They must have read about the 97-yr-old cancer sufferer who was evicted, causing huge scandal. That's just one example. This whole politically correct push for higher density totally ignores reality. "A true fix will require a long-term focus and deep commitment. We believe, though, that we can maintain the character of our community while making changes to alleviate this imbalance." No, we can't follow these recommendations and maintain the character our community, not even remotely. Their recommendations are like suggesting that a person consume 15,000 calories a day without any mention of the life threatening weight gain that will ensue. This micro units idea was tried in Manhattan and ended up inflating the price of micro units to the level, and above, of much larger apartments. Higher density doesn't solve any problems but causes new problems, and yes, it absolutely does NOT maintain the character of the community. As far as the people who signed tis petition, they shoulder the blame for the problem. Over the years they had caved to the developers. They allowed Palo Alto to become an overdeveloped a job center and office park, when this small town infrastructure is incapable of supporting it, destroying our way of life and the quality off life. We should reject their petition and w should reconsider with a sense of urgency the massive infusion of PAF, a pretty small group, into our city government institutions. Nancy Shepherd's support for overdevelopment is the reason we voted her out last time. Sorry wishful thinkers, there is no way to build enough housing in Palo Alto to solve the crisis, and building new housing will not magically make Palo Alto affordable. New development needs to happen in San Jose which could easily densify because it has Caltrain, light rail, Amtrak, and will have BART. We have only Caltrain and the trains are already standing room only. Give it a rest - I'm so sick of growth advocates saying build, build, build without any mitigations for current problems and no proof of concept for so called Traffic Demand Management. We're in the fix we're in because the growth advocates listed above got us here, and there are already plenty of developments under way that are going to make things worse. No more! We residentialists are mobilized and pushing back. I'm all for creating higher density living to create pedestrian and public transport focused centers. The development must happen right on the key transportation corridors, though. Anywhere else is further congestion. I'm aghast that the recommendation includes reducing parking requirements. More than aghast. Actually shocked. People have cars, and already we have more cars than places to put them (either moving or parked!). Maybe as an alternative to enforcing the zoning-required parking spots for new development, force them to pay for the same amount of parking in a nearby community garage (not rent....actual paid-in-capital). This will help get some garages built! How many people opposed are homeowners just putting their own financial interests first? Outrageous housing costs benefit anyone who already owns very well. "I'm all for creating higher density living to create pedestrian and public transport focused centers. The development must happen right on the key transportation corridors, though. Anywhere else is further congestion." Actually, we best avoid congestion by building up our single-family areas, which is where our land usage is least efficient and the transportation infrastructure is far underutilized. I recognize how the R-1 residents would want to concentrate our new citizens in high density ghettos at safe remove from their own neighborhoods--nobody really wants change to affect themselves--but that is neither efficient nor humane nor neighborly. What makes you think rents will decrease even if you cram another 20,000 rental units into Palo Alto? Rents haven't come down in San Francisco or Manhattan or anyplace else. Instead, SF's high rents pushed out the artists and musicians and others who made San Francisco quirky and interesting. Even when landlords are supposed to be providing low- or middle-income rentals, they simply wait out the required few years and then raise the rents sky high to make up for lost time. Do you think the developers want to lose money or are providing the below market rate units out of the goodness of their idealistic hearts? Sticking a few below-market-rate apartments into a huge office building or regular apartment building only pushes the rents even higher for those tenants who are subsidizing the below market units. PAF and those preaching higher density are just being pawns for the developers who'll get rich off their naivete. From today's San Francisco Chronicle, an article on the huge influx of Chinese real estate development money developing large dense housing projects primarily for the Chinese market. Tell me again how that's going to help Apartment Poor and/or reduce rents. Maybe Palo Alto Forward can contact all the developers named in the article and make their case for reasonably priced apartments. Please report back. Woodside, Portola Valley, Atherton, Los Alto Hills, have a huge member of employees who can't afford housing there and never will:gardeners, maids, house cleaners, child care providers, servants, plumbers, body guards, security guards for the various estates and mensions, cops, etc. I never heard of a Woodside Forward, Atherton Forward, Los Altos Hills Forward or Portola Valley Forward who demand that those towns densify and urbanize. Those area are not considered "cool" by the millennials and others, who think they will never amount to anything unless they have a Palo Alto zip code. This is really what PAF is about, a Palo Alto zip code by all means necessary, preferably subsidized and enabled by long time residents. "Sorry wishful thinkers, there is no way to build enough housing in Palo Alto to solve the crisis, and building new housing will not magically make Palo Alto affordable." That is factually true, but not the real objective. Just quickly building and selling massive quantities of housing, no matter how tacky or poorly supported by infrastructure, will generate mongo immediate profits for the builders and their investors, while all Palo Alto residents get stuck with the long term costs. That is what Palo Alto Forward is promoting, whether its rank and file supporters realize it or not. It is rank hypocrisy for Palo Alto Forward to complain about the jobs-housing imbalance, having opposed an attempt to reduce the rate at which it would be getting worse--the office cap (Web Link). It is rank hypocrisy for PAF and associates to claim to worry about housing for lower income families when they advocate for redeveloping the places where they live into housing for young professions. They talk about these older less expensive apartment complexes as under-utilized and in need of replacement. It is rank hypocrisy of the PAF and associates because most of them were prominent champions of making the jobs-housing imbalance much, much worse. Some argued that Palo Alto needed to build enough office space so that the next Google (roughly 30,000 employees at that time) and Facebook (9,000 then) wouldn't have to move to other cities. Most argued that Palo Alto *should* have a high concentration of jobs because the Caltrain stations and the shuttles made it a prime location for commuters to come to. Now that those jobs are here, they say that we are failing in our "moral responsibility" (Lippert in main article) for not now building housing regardless of its impact on the community. PAF and its associates are not advocates for housing, but lobbying group for development. Since this piece is about an online petition, could you post a link to it in your article so readers can see the source? Is there a counter-petition to the PAF petition? If or when there is, please post a link to it. This is richly needed. I was just talking today to a close friend of mine in her mid-thirties. She's a professional woman who earns a good salary in interior design. She'd easily be able to afford a home on her income if she'd lived on the Peninsula twenty years ago. Instead, she lives on the Peninsula and pays rent by splitting with two roommates. Five years ago, she and her roommates lived in Palo Alto. Three years ago, they had to move to Mountain View as rents rose too high in Palo Alto. Now, they can't afford to live in Mountain View anymore, and they are looking for other places to live. This is definitely a regional problem, and it needs a regional solution. That means we need to step up and do our part to build more homes. Mountain View and Menlo Park are building whole new neighborhoods in their industrial areas, and the sky is not falling. We did it in the fifties and sixties, and Palo Alto was a great place to live then. We can build more housing now and we should. If there's more housing but it costs the same as what's out there now, it probably doesn't help your friend. Is something like rent control necessary as well? Our jobs imbalance is 3 to 1 and East Palo Alto is 1 to 3. Could we simply merge and solve the problem? Just kidding. East Palo Alto deserves the economic benefit of their own new office development. But that is bound to exacerbate the regional issue, where the region is barely across our border. I note this because only today I saw the new 200,000 sq ft office complex on University Avenue, short hop across the freeway -- Web Link -- (phase 2 expansion up to 500,000). Claims "convenient access to Highway 101, Dumbarton Bridge, and downtown Palo Alto." Maybe at 4 in the morning. Judging from the 654 parking spaces, they plan to add at least that many cars to the daily mix. How many of these new employees will be current EPA residents? How many will want to become Palo Alto residents? Waiting to hear an answer to my question- How many people are opposed due to their own financial benefit from high housing costs? I'm guessing that just about everyone opposed to more housing already owns a home, and LOVES seeing the value skyrocket. And even if the problem isn't solved, it can still be worthwhile to improve it. Your guess is dead wrong. The sky rocketing home values were created in part by people, some of whom signed this petition, whose policies were opposed by most home owners. I never wanted my home to appreciate at this rate, none of my friends who own homes in Palo Alto did, and we had no control over what happened. The politicians whose signature is on the petition insisted on turning Palo Alto, one of the most expensive real estate markets in the country into a major job center and office park, they allowed foreign buyers to turn Palo Alto real estate into bank account to shield their money, driving home and rent prices to skyrocketing levels, and now they whine about the job-housing imbalance. The hypocrisy is mind numbing. Are all the petitioners Palo Alto residents, with votes? Just read this article and comments. I don't want to lose my quality of life here in Palo Alto, it's a great place to live, (and I've lived here for 40 years). I then went to the PAF site and read the petition -- has anyone who's commented here actually read it? Seems quite reasonable to me. No mention of skyscrapers or of over-development, just some ideas about granny units, senior housing and smaller units for young people and old people alike -- and who doesn't want to have folks out of their cars so we don't have to waste so much time in traffic? From the comments you would've thought the PAF-ers were advocating for huge developments all over town. I saw some photographs of Palo Alto back in it's heyday and there was a streetcar down University Ave and there were lots of small shops and it was crowded! When I moved here it was a sleepy little city with no decent retail or restaurants -- just a bunch of (gasp) developments in South PA. So cities change -- they get bigger and then contract. You can't stop evolution and it seems like PAF actually has some good ideas. Where is the equilibrium? You can add housing, then more jobs, then more housing, ad infinitum. Or you can potentially let some of the jobs and/or homeseekers go elsewhere in the state/nation. I am a fan of spreading the wealth. There are lots of potential "Silicon Valley's" around the country (with great universities nearby)where the cost of living is much lower. And the USA as a whole would be much better off if the high tech jobs and wealth were spread more evenly around the country. "Please publish comments when you submit your petition. I commend PAF for putting issues into public debate and your petition opens the door for anyone to "weigh in". However, your goal to gather opinion needs a clear ground rule. If I as a "member" of PAF, want to submit a different or slightly different opinion, then how will my voice be presented to the Council and public." I hope the Palo Alto Forward group live in the area where they want more and more dense housing. When you propose it for your street or block, then I will believe that you really think such a thing is good. Until then it is just another way to foist another mess on someone else. Show me one major US city where building enough has failed to keep prices low. Show me one major US city where development restrictions have somehow kept prices down. No one can, because there is no such city, and there never has been. In the 1960s, Palo Alto and the rest of the Bay Area passed many restrictions on development. And rents went up. And then they passed more restrictions in the 70s, and rents went up more. And more in the 80s, and more in the 90s, and in the 2000s, and in the 2010s, every year there were more restrictions and every year rents went higher. We've been doing this for fifty years now. The Bay Area is now the most development-hostile urban region in the world. And it now has the highest rents of any urban region in the US, and one of the highest worldwide. And people are still denying the obvious connection, because they prefer a city that's low-density and accessible only by car to a city where non-millionaires can afford a place to live. Who are the signers of this petition? Where do they live NOW? Where do they work? What makes them think that they have a legal and moral right to live in the place where they work? Time to put the breaks on this. Palo Alto will be destroyed block by block. There is NO shame on those living in Palo Alto - no shame on the elderly who came a generation ago. That's what is happening. The City Council is dancing to the "I want mine, my house, my apartment". And anything Nancy Shepard is involved in, that's 'trouble in River City". She is not on the council anymore- thank heaven. In my neighborhood there are still WWII GI's and Korean War vets. Realtors- GET OFF THEIR BACKS. Stop the - would you like to sell your home - phone calls. New neighbors can look up their property taxes based Prop 13 and get angry at THEM. Palo Alto Forward is a bunch of civic cry babies. The Council can just say "We ran out of room" . What has happened to downtown Palo Alto is so sad. It is mostly restaurants - residents go to Mt. View or RWC to shop - or shop on line like almost everyone in our home does. A good problem to have I suppose. Palo Alto is indeed a highly desirable community to take up residence. Outstanding schools, neighborhoods, health care, as well as our proximity to jobs, Stanford University, and the first class amenities of San Francisco have fueled the high real estate prices and rents. Palo Alto has worked hard to earn this distinction. The bottom line is that not everyone can afford to live in Palo Alto. It's an economic reality. In my opinion efforts to create affordable housing, or create government-subsidized housing, would lead to an overall diminished quality of life. Quite simply we'd be lowering the bar. Ultimately that is not fair to those who have created this community and set such high standards. Why would we compromise our quality of life and assets? All too often low-cost housing equates to neglected property, an increase in crime rates, negative impact on property values, and overall diminished quality of life. Undoubtedly there are steps our community can take to address the needs of lower income workers, students, and others who access Palo Alto. Rather than create affordable housing, our city efforts should be focused on improving public transportation for example. The city leaders should work in a more pro-active manner to improve and expand the public transportation systems offered by CalTrain, VTA Bus lines, and SamTrans. Give those employees and students more options, efficient service, and perhaps an affordable voucher system would undoubtedly make the greater Peninsula a smaller, more reachable destination. Since no one has an inherent right or even expectation to live in the community of their choosing, those seeking nearby residence should be encouraged to consider looking at homes, apartment units, and other properties in more affordable areas like EPA or East Menlo Park. This option not only provides a close proximity to jobs in our region, but also much more affordable housing. Everybody has to start somewhere and I see this as a viable option with other upsides that eventually we would all benefit from. For example, if more students, gainfully employed people and/or job seekers, and young families moved into EPA and East Menlo Park, I could see that making a dramatic difference in the quality of life in those communities. That type of positive investment and pride in ownership is what leads to improved schools, economic opportunities, safer neighborhoods, and better jobs. A win-win across the boards and better for our communities as a whole. This type of progress is key to maintaining the quality of life in our community. It's inevitable. Only a matter of time. We found a way to live in pricey Palo Alto in the 60's: communes. Then lots of the communes were condemned and torn down (one was at 616 Cowper St.), due to small minds at City Hall, and new buildings were put in their places. Presto, hippie-free! It would seem now that some kind of communal living is the answer for some people (ie: those who are not rich). It's not unlike co-housing, and it's a way to live where you want to live. We also had communes in Atherton and Woodside, where we could not have lived on one salary. Think about it: find some like-minded people, a big house, divide up the monthly costs, share the chores, take turns cooking. I think a much better use of energy, however, would be to overturn the ban on plastic bags in Palo Alto. Nothing says "I'm going to leave my dog's poop in your front yard; surely you don't mind" quite like a plastic bag ban. Marrol: East Palo Alto and Menlo Park aren't building housing either. If there's a fixed number of housing units, and no one is allowed to build more... then if someone moves in, that means someone else has to move out (aka get evicted). It's like a giant game of musical chairs. If there are three times as many people as chairs, someone's going to wind up without a chair. If there are more jobs than housing units, someone won't have a housing unit. It doesn't matter what choices people make, you can't make two plus two equal five. Activists in San Francisco say that tech workers should live closer to work. But Palo Alto, and the rest of the Peninsula, won't build housing. There's a fixed supply. That means that, for one person to move in, someone else has to move out. For every tech worker who moves close to Palo Alto, someone else has to move farther away. It's a simple question of arithmetic. former mayors Nancy Shepherd, Sid Espinosa, Peter Drekmeier, Dena Mossar, Lanie Wheeler and Leland Levy; former Planning Commission Chair Mark Michael and former ARB Chair Lee Lippert. Thanks to these people we have overbuilt offices and ruined the town with oversized traffic-causing office buildings. Many of them make money off of construction - architects, lawyers, investors. Jim: It's not a question of rights, it's a question of arithmetic. If Palo Alto doesn't build housing, people have to commute in. They can't commute in from Menlo Park or Atherton or Los Altos, because those cities won't build housing either and are just as expensive, so they have to take the freeway. One freeway lane can handle about two thousand cars per hour. There are twelve freeway lanes going from Palo Alto to places with cheaper housing - 3 on the Dumbarton Bridge, 5 on 101, and 4 on 280, for a total of 12 lanes or 24,000 cars per hour. Palo Alto and surrounding towns have an imbalance of about 100,000 more jobs than housing units, so to move 100,000 people at a rate of 24,000 people per hour takes... let's see... over four hours, which is why the freeways are all jammed every morning and evening. If Palo Alto doesn't build houses, it will always suffer from horrible traffic. It's simple arithmetic. The PAF petition entails a lot of magical and unrealistic thinking. Previous comments address that. But there are some things that could be done. First . . . STOP non-residential development until a serious data-based analysis is done of the consequences of adding more non-residential development/jobs - effects on traffic, parking, housing, schools, utilities, energy, waste management. And look at water usage. Just because this is an El Nino year, doesn't mean that we will have enough water in the future for current development and all the future development in the pipeline and still gleams/dollar signs in the developer's eyes. Relax the zoning restrictions for residents who want to remodel to accommodate a multi-generational family. Not a commune or a bunk-bed jungle, but a true multi-generational household. Not sure how you could enforce that, but my neighborhood already has quite a few and I'm sure it's not the only one. Retro-fit/remodel the commercial buildings on University Ave, California Ave, Mid-town that are below the Palo Alto height limit with living space on the top floors. Not commercial or office but LIVING SPACE. Do not allow any commercial development or office development that does not include adequate parking and living space. Stop behaving as if Palo Alto is a bubble. This is a regional problem. Establish a relationship with surrounding cities and do the data analysis on just how much additional growth the area can support. Tell Google and Apple and Intuit etc. to find other communities in which to build. 101 is nearly impassible at rush hour - it's not going to get better any time soon. Finally - PAF should start a fund to purchase the Buena Vista site and build affordable housing. "If Palo Alto doesn't build housing, people have to commute in." You're ignoring the half of Palo Alto's working population that commutes out. Why do you think building more housing would change that? Here's the bedrock irreducible arithmetic: more housing = more commuters = more traffic. The solution is fewer jobs. You're free to quit your job at any time to help reduce the number of commuters... though I assume that thought was directed at "someone else"
I see both sides of this argument but the real culrpit is very simple: OVERPOPULATIN. Not just in Palo Alto, not just regionally, but nationwide. This will be a very eerie truth to accept. To maintain our quality of life, we need more space and less people. Which means curtailing immigration and maybe resorting to harsher methods later on. We would love to be kind to everyone but that means more sharing and lowering of standards. Can't have it both ways. The postmodern Socialist approach will make us a third world country and there is a drift towards nationalism and realism as liberal illusions are being shattered. We need a healthy dose of selfishness. You also say "Show me one major US city where building enough has failed to keep prices low." See common sense's post earlier in this thread about Redwood City. We have a problem! Face it folks...people and traffic will continue to increase in Palo Alto even if we pull down the shades and turn our backs to the street. Palo Alto a sensible can-do community. PAF has put forward realistic, sustainable SOLUTIONS (not gripes)....GO FOR IT! Palo Alto does not have to be solely responsible for the "rich person's burden (with apologies to Rudyard Kipling.) We need a regional solution to housing and to let go of the notion that Palo Altans here now have to take care of every imagined and real imbalance in the country and world. We also need to Just Say No to dense housing and let jobs go elsewhere as with Facebook and Survey Monkey. We don't have to own or house all of Silicon Valley. Thank you Douglas Moran. Spot-on. Thank you â€œLook at the Supportersâ€. These people have giant globes made of polished brass. Indeed - their short-sighted decisions have led us to where we are now. And they expect the residents to fix their mess. I love how just two years ago PAF was pushing for additional and more dense commercial space. Now they want the same for housing. And while they have not mentioned challenging height limits - I predict they will do so soon. It is just a matter of time. A well-known PAO blogger, who is also on the PAF BoD, has already suggested that PA should consider relaxing height limits for additional housing. And I also predict that at first, they will just push for height limit changes around transit corridors or centers (El Camino, California Avenue, University Avenue). Then it will bleed out from there. Give an inch and theyâ€™ll take another 50-feet in height. My guess is that the blogger isnâ€™t the only PAF member who feels that way. And as always, PAF pushes for expansion and higher capacity without addressing the current set of infrastructure and services deficits existing in PA today. Despite everyoneâ€™s best efforts (I am not blaming anyone who works hard for our city), PA (schools, city services, commercial services, etc.) canâ€™t do a good job today. Why does PAF think they we should just â€œDamn the Infrastructure, Full Speed Building Aheadâ€? And even if they tacitly nod to these issues, they will expect you, me and all of the other PA residents to dip into our pockets to pay for all of the required capacity expansion. Yes, they want the current residents to pay for all of the needs of non-residents who want to move in. Iâ€™m sure theyâ€™ll suggest that there should be developer fees to cover infrastructure costs. Both we all know that thereâ€™s no way any level of developer fees is going to cover the hundreds of millions of dollars required to make this work. And I agree - how many petition signatures are from verified PA residents? A lot of this verbiage about "living near your job" presumes that no one ever changes jobs and thus changes his/her commute. It presumes that no one ever gets laid off or ever moves to a hotter start-up. San Francisco has already evicted and/or pushed out a lot of the creatives that made the city wonderful. And at no time did the rents or property prices ever come come down. The Mountain View City Council recently approved a change in their plans for higher density housing in the bayshore area. The proposal includes up to 10,000 new units with building heights up to 12 stories tall. The city is offering large incentives to build high density housing and subsidies to allocate up to 8% of the units to below market rates. Google and Sobrato are the likely biggest winners. Of course, there are no plans for additional schools, roads, fire stations or other necessary service infrastructure included. They also have a ream of potential rent control proposals to shift more of the financial burden onto residential land owners. Elections matter. A recently elected pro-growth city council, global warming fanatics, urban ideologues and millennial hipsters have finally combined to destroy the south bay. Their vision of turning the bayside corridor along Sunnyvale, Mountain view and Palo Alto into a little Hong Kong is finally coming true. If you disagree, this is the last chance to speak out and join the movement to stop the pro-growth agenda. Speak out, get involved, donate time and money but most importantly vote or it will be too late. > how many petition signatures are from verified PA residents? It shouldn't be that hard to look up the names on the petition and come up with a count of residents vs non-residents. An additional element that no one has yet mentioned - code violations in Downtown North with homes and apartments (that COULD be used as actual HOUSING..) being rented, set-up and used as businesses with multiple employees. Some have been obvious to neighbors and, thanks to the City Code Enforcement Officer, have been shut down. Others have gotten wise - and closed their curtains, put some rockers and flower pots on their porches as camo... A big problem? hard to say - but a definite problem (3 within a block of our home all in the same month). Code enforcement could free up some apartment space in Downtown North while PA struggles to solve imbalance issues (as could some improved ethical behavior by business owners). Itâ€™s not clear that all of the items on the list are actually true, or what plans the City has in place to refurbish some/all of these items in the future. There is no doubt that the City will need to raise billions of dollars to deal with the current back log of maintenance. Adding the 20,000 to 30,000 additional families that PAF is pushing for will not only destroy the quality of life in Palo Alto, but it will push the property taxes up significantly to pay for the needed infrastructure to accommodate their arrival in our town. "@Curmudgeon You're free to quit your job at any time to help reduce the number of commuters... though I assume that thought was directed at "someone else" "
I already have. You're next. "This list of "externalities" needs to be flushed out, and verified"
Let those pesky details ride. Palo Alto residents can take care of them later. The immediate objective is to start turning shovels ASAP so developers and their investors from Woodside, Portola Valley, Atherton, ..., make money. It is delusional to think that you reduce traffic by building more high density housing. Only a tiny fraction of new homeowners/renters will walk or bike to Palo Alto jobs. And you can bet the new residents will have children, adding additional car journeys to school, activities, and play dates. Basic economics tell us that nice areas become expensive. If the do-gooders want Palo Alto to become more affordable, then by definition it must become less nice. And I prefer to keep Palo Alto nice. This is how the urbanistas win. It is a teeter-totter of destruction for our quality of life. If not stopped, in 10 years Palo Alto will be finished as we know it. Tax tax tax tax some more. Solution to everything is more taxes. I want to vomit. If that's the case then you no longer have to worry about commuter traffic! Problem solved! It's hard to keep up with all these back and forths. I waited a long time to chime in. I like some of the ideas proposed and have been an advocate of them for some time. I support the idea of building more housing units in the areas near where the current workers, who are also commuters, work, near transit hubs. It would be great for housing to catch up with jobs. Most of them are tech workers in their 20's-early 30's and probably not married or maybe married but without children yet. So those studio and micro-units might work and be affordable to them. But if we've learned anything from the experience in RWC, those units will not be affordable to low income and mid-income workers and the ones Maurichio referred to who serve as our maids, house cleaners, gardeners, child care and home care providers, et al,...not even our firemen and policemen who have families and commute from other areas. They couldn't fit a family into a studio apartment. It targets the ones I mentioned earlier. So any thought that there will ever be affordable housing in PA is delusional thinking. And the idea of relaxing requirements to allow more granny, ADU, SDU...whatever you want to call those units to be built, is also delusional. I have room on my property. Come on over and try to give me the sales pitch to convince me on why it would be so great for me. I have never thrown someone off my property before. You could be the first. Don't go running any benefits for the police and firefighters. Check the salary figures and you'll find that most of them are making more than $200,000 a year in straight salaries. That's before over-time which pushed a night dispatcher to $350,000 one year. That's before pensions that kick in at age 50 and are almost total lifetime salary replacement. And before health insurance on the job and during retirement. There are plenty of examples where more housing development didn't lower prices, but rather accelerated them. In Manhattan, building the kind of micro units recommended by PAF and the signers of this petition, their rent caught up and surpassed the rent pdf much larger units. The same thing happened in RWC. At no point do PAF and their allies mention the cost of upgrading the infrastructure, roads, schools, water, power grid, needed to accommodate the kind of growth they demand, which would be in the billions. Who is going to pay for it? Please observe how religious PAF and their allies are at never presenting any studies on the driving habits of people who live in developments built near public transportation. The city council can get PAF off its back once and for all by telling them the truth: We are full, we are not going to subsidize your desire to live here, kindly move on. So I hear a lot of complaints in the comment section here: too many people trying to live here, we want our Palo Alto back, not everyone can live here, it's all their fault that our schools and infrastructure are already maxed out and we can't have any more people moving in, they cause too much traffic. Sounds really familiar --- just like a Trump rally. It's just what the Trump supporters are saying -- we want OUR America back, the immigrants are ruining our quality of life, it's all their fault, put up a wall and don't let any more in. Just sayin'. Once you rent out your ADU, can you ever evict the tenants or are you stuck with them for all eternity? How fast can you raise the rent, or does the government tell you what to charge? Probably less hassle to rent out any spare space as parking or storage rather than living quarters. Also aligns with Palo Alto's goals to not increase electric or water consumption. Changing rules to allow more granny units sets our residential community up big quality of life changes. It opens doors for air b&b and other short term rentals and more parking and traffic problems. Short term renters have no investment in respecting close houses and neighbors. Many of our Palo Alto yards are so small that an adjoining neighbor building a small house in their own back yard will certainly negatively impact the neighbor on the other side of their fence.This new house just over our fence will lower property value, privacy and the little bit of joy and solitude we value when in our own back yards. Please say NO to changing these granny unit rules. The change will certainly impact quality of life in our residential neighborhoods. 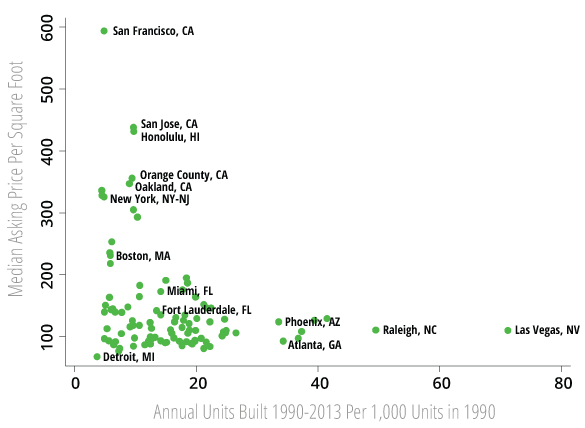 Building density in our residential neighborhoods is not a way to solve our housing problems. "If that's the case then you no longer have to worry about commuter traffic! Problem solved!" Problem still exists until you do your part and stay home. Any progress on that yet? I'm sorry, could you reference where I complained about a problem which I was directly contributing to? I have no intention of quitting my job, because unlike many folks in these sorts threads who don't have to pay these exorbitant housing costs and associated property tax rates, I couldn't afford it. I moved into the Google dormitory on bayshore in 2020 and lived on the 10th floor for five years. After a liberal education and graduation from an elite Ivy League school, I knew I was special and entitled to the best Silicon Valley had to offer. In the beginning it was a lot of fun. I used to go riding on the trails at Shoreline Park. For some reason, I never saw much wildlife. I guess it was run off by all the foot traffic and noise pollution. I have stopped riding since my bike was stolen from the campus bike racks. The criminals have figured out that our campus is an easy target and they use us like an ATM machine. The petty crime was a nuisance but I never had much time to exercise anyway given the pressure at work. Now I am moving out. I am getting married and we want to have kids. Initially, we applied for married housing but there was a five year wait list. There is on site day care but strangely the closest elementary school is across HWY 101. It would be impractical to use drive sharing to drop off/pick up the kids from school. I do not know what we would do when our child needs to go to the doctor, a sporting activity, a school tutor or even a simple play date. East-West traffic is totally gridlocked. Ironically, we do have local in-laws that could help out but they live in the east bay and could never come over to the bayshore campus to babysit or watch the kids. There is no parking for visitors let alone the residents. Besides, the dorm is not the best place for young children. Even though there are rules against AirBnB, I still see a lot of strangers on weekends. Also, now that pot has been legalized, I am worried about exposure from second hand smoke coming from down the hallway. As part of the new development, there were a couple of small parks put in with jungle gyms but they are not big enough to play catch or walk pets. Most of my dorm neighbors are international residents. Like me, they would prefer to leave but must stay here until their H1B commitment to their sponsor company is completed. The VCs like to say that Palo Alto is a two exit city. The reference does not refer to Page Mill or Sandhill Rd on HWY 280 but rather that it takes two IPOs to afford a house. Even though I have been paid well, I was never able to save up enough for a down payment. It was too easy to spend the money on the latest gadgets or on socially organized trips to Napa or Lake Tahoe. Unfortunately, the greater population density has only increased the competition for single family homes nearby. Because of the tax rates and rent controls, starter houses and rentals for families have disappeared only gated mansions with fences are left. So we have decided to move to the suburbs and commute. The housing is more affordable and the amenities are better. Overall, it is a lot nicer for young families. I just wish the city government would have invested in more infrastructure over the last ten years rather than the unrealistic idea that everybody must live next to where they work. For the future, unless we strike it rich we will work hard and slowly trade our way up to Palo Alto. With discipline and a little luck, we will get there by the time the kids start school in six or seven years. That is our silicon valley dream. "For the future, unless we strike it rich we will work hard and slowly trade our way up to Palo Alto. With discipline and a little luck, we will get there by the time the kids start school in six or seven years. That is our silicon valley dream." That's exactly how we did it. Not that difficult and actually very practical. ... until you are competing with 165,000 people who have the same vision. Gale Johnson says, "It would be great for housing to catch up with jobs." I think it would be great for jobs to match the available housing. How can we reduce the number of jobs to bring things back in balance? This is a regional problem. Neighboring communities should solve it too, by preserving housing that is already considered "affordable". City councils should make this their number one priority, and transportation problems will diminish, as a result of better thinking. Intelligently building more is fine, but let's preserve what already is. Identify areas, and help the owners out, especially the seniors. By bringing thousands of people from around the world to THIS area, we have a population explosion, and it's from too many new offices/jobs. It's supply and demand, "what the market will bear", and it's killing us. No, of course it wouldn't be a mandate but why is it even being brought up and encouraged as a way to solve our housing problem? People who wanted to do it already did it. I know a couple people who did it legally and I see others who have done it illegally. Others who want to do it will do it. That's fine. members who will be living in them. "@Curmudgeon I'm sorry, could you reference where I complained about a problem which I was directly contributing to?" Of course--in this thread. Read it carefully for meaning. Have you taken your advice and quit your job yet like I did? 1. Palo Alto and many communities are very precious. We do not need to spoil it for the sake of affordable housing. 2. why not? It took years of careful planning and execution. 4. Affordable housing can be built near Dumbarton bridge side of Menlo Park and uplifting E Palo Alto. West Germany integrated with East Germany. We can do it too. In response to Bob and others-this has nothing to do with national politics and party affiliation. This is about preserving our way of life, quality of life and about refusing to become another Manhattan and Hong Kong. I am a Bernie supporter, my friends and neighbors who are strongly opposed to the PAF vision are all progressives. I read the petition and it sounds to me like PAF is advocating some of the same positions as its critics here, e.g. housing instead of offices on top of retail businesses. I am surprised by the levels of suspicion and distrust that folks will turn granny units into full time AirBnB rentals. It is a shame that people would have such feelings towards neighbors or future neighbors. Does anyone have the numbers on Palo Alto office jobs that are not part of the Stanford parks? Good luck figuring things out -- Palo Alto's housing shortages and traffic problems impact those of us in surrounding communities as well. At least Manhattan and Hong Kong have decent public transportation. Though I suspect you actually know what is really behind the reference to Manhattan and/or HK (high rises, shadow canyons, packed housing), the point is there are residents who are against raising the height limit and becoming more like (how about a local reference) San Francisco or San Jose. The term is "Manhattanization" - refering to the effects of such buildings - not the actual experience of the NYC or HK metropolis in general. What some of us fear is overly high buildings, built right up against our narrow sidewalks and 2-lane downtown district roads (Uni Ave, Cal Ave). In SF (for example), the high-rises are built with setbacks, wide sidewalks and along streets that are 4-6 lanes wide. For an example of how things can go wrong quickly, go take a drive on 1st Street in Los Altos. They have built "a wall" of buildings (just on one side of the street) and now it feels like a canyon when walk or drive down the street. I can't imagine what it would be like if they allowed the same thing on the other side of the street. It is not a pleasant feeling at all. To all the Palo Alto residents that have lived here and owned homes before 1990. You have to leave. It will be an orderly exodus. We will set a mandatory cap sale price on your property (no more than $750K) and a schedule when you have to leave. Don't complain. You have lived here long enough and it is time to move on. The price for your home will be reasonable but not excessive. You have no right to expect any windfall profit. The sale price will lower the cost of housing throughout the city and make it more affordable. Your property will be sold and the building replaced. All single family homes will be replaced with at least duplex buildings. If the property size supports 3 - 5 units, they will be built. This will ensure that there are no high rise ghettos built in only some parts of time. Over a period of time all of Palo Alto will become denser housing. Since it is best to lead by example, all the members of the groups calling for more housing will be the first to have their properties sold. Housing should not catch up to jobs. Jobs should adjust to the housing reality. In the Palo Alto/Bay area reality, where housing prices are astronomically high and space and availability are extremely low, the solution is for jobs to move to areaa that need them and can offer less expensive and more available housing. C'mon guys, get real. Are you proposing that we somehow kick companies, with their jobs, out of town? You know there's no way to make that happen, so we have to deal with what we have. Building more apartment complexes in the right places...downtown and Cal Ave areas near transit hubs, Is the right thing to do to reduce the numbers of those who currently drive everyday to work in those areas. It should help reduce traffic and parking problems, as well as supporting the environmental issues. But, what I've seen recently as a call for more affordable housing is another ballgame. Much of it is misguided and very idealistic and unrealistic, but still well intentioned I assume. And I don't think the proposals serve the very low income, low income, and mid-income people. Who of them will be able to afford the micro, studio, 1 bedroom apartments that would be built? At prices starting at $2,500 per month? ...maybe higher. Those service workers that we depend on will still be driving from far off places to serve us in PA.
Now, the biggest problem is to convince owners, developers, builders, to build those units. They tend to be very business orientated...bottom line thinkers...and not altruistic as companies. How do the signers of the petition letter hope to get them on board with their ideas when they don't have any skin In the game? I'll give you all a break and won't talk about the 'granny' unit idea anymore. I've said so much about it before. Did I just hear an 'amen'? @Gale: A jobs/housing imbalance can be fixed in just two ways -- by increasing housing or decreasing jobs. It seems likely to me that both will happen, by different amounts in different areas. How do you decrease jobs? If the cost of doing business goes up enough, some employers will move out. Imposing draconian rules on employee transportation is one way that could happen. New taxes on business (or certain business behaviors) would be another. Rent increases (perhaps caused by capping supply) would be a third. All of these are real possibilities nowadays. If changes in both housing and jobs are minimal and gradual, I think it's possible to strike a better balance without overshooting. Gale Johnson says, "Are you proposing that we somehow kick companies, with their jobs, out of town?" Yes. The Laundromat that was located at 405 Waverley St, Palo Alto, CA 94301, for example, is now office space. If the powers-that-be didn't allow this conversion there would be fewer jobs. Activehours, a Financial Institution, now lives there. If you peek into its windows you'll see it's rows of tables with computer workstations. Why couldn't/shouldn't that space, next to 7-11 remain retail? Yes, I agree! And the balance can be met without other outside parties and interests getting involved...commissions, committees, staff, and council members getting involved and making long winded speeches about it. Let those parties really involved in making it happen do their work. Gale Jonson, no companies can be kicked out. The problem is that existing companies keep hiring mostly young employees without housing in the hottest real estate market in the country, perhaps the world, and expect us to solve the problem of housing their employees by subsidizing them and by giving up our preferred life style and quality of life. The same applies to start-ups moving to this area and expecting local residents to bail them out vis-a-vis providing housing for their employees. If existing companies move some of their operations elsewhere, to areas that actually need new jobs, ever heard of spreading the wealth?, and new start-ups not moving in, but locating in areas that actually their economic input, the housing pressure would subside. If we have socialism, it should benefit everybody, not just corporations. Gale Johnson wrote: "Building more apartment complexes in the right places...downtown and Cal Ave areas near transit hubs, Is the right thing to do to reduce the numbers of those who currently drive everyday to work in those areas. It should help reduce traffic and parking problems, as well as supporting the environmental issues." I am really tired of this argument. "Young professionals" who work downtown will never give up driving. Using public transit is TIME-CONSUMING and time is the most valuable resource to a person. The lower-income workers who use transit are the ones who lack cars. Those who have cars will also, nearly always choose to drive. I'm sorry but the average person isn't focused on the carbon footprint, they are more interested in getting as much done as possible every day so they can grow and prosper. Public transit is for people who lack cars -- get this through your heads! Even if you think there is some magic formula to make people LOVE riding the shuttles, taxing businesses is a terrible way of funding it. How do you expect businesses to be altruistic when they're being taxed to death. If our city council really cared about preserving Palo Alto as we know it, they would simply not allow so much growth. Apparently they're not working in our interest. Maybe we ought to face reality that we can't enjoy luxurious lifestyle forever because the hordes will inevitably show up at our door, hungry for their share. I am irritated by overpopulation but at the end of the day, we ought to just deal.with.it. "If changes in both housing and jobs are minimal and gradual, I think it's possible to strike a better balance without overshooting." I like this line by Allen, but I wish our government actually took heed. They are getting way too excited with all their programs and spending. "Why couldn't/shouldn't that space [the laundromat], next to 7-11 remain retail?" Because its owners could get a much higher income renting it as a Silicon Valley office. Also--the dirty little secret--its clientele included a large contingent from East Palo Alto. I'm curious Johnny, how you square that screed with the FACT that several companies downtown have over half their employees arriving by Caltrain? You know walking that station downtown, the second busiest in the entire system? Or do you think those people making over 100k (average salary of Caltrain riders) somehow still can't get their hands on a car? Robert. You missed the point. If people choose to take the train, that's great. I am against government spending with a specific mission to coerce/incentivize "encourage" people to use one form of transportation over another -- and then decide that they need to raise taxes in order to accomplish that. And, your statistics don't change the fact that for any individual, riding Caltrain is far more time-consuming than driving. I used to ride the train myself. Also, please provide a link to your "facts" and it better not be a small sample size. Hear the Real Raw deal is a registered user. If you want to hear where Palo Alto Forward will take us, go see a speaker they are sponsoring on Thursday, March 31 at 6:30 PM at Adobe House, 157 Moffett, Mountain View. The last paragraph references PA as being "family friendly". Historically that was true.. We've been derailed and studio and micro units aren't "family friendly". Regarding PAF- Their long game strategy has always been to somehow remove the finger from the dyke. Once the water starts rushing in, nothing could stop it. What they want is nothing short of the Manhattanization of Palo Alto, but in order not to alarm the public, they use clever language that's supposed to disguise them as something else. I have always considered them a lobbying group for developers, which they de-facto are. The greatest tragedy is that naive residents voted some of their members/sympathizers into the city council and that some of them are on the TPC and another influential advisory committee. A founding member and unrelentless lobbyist for urbanization has a blog on PAO. They seem to be everywhere right now. "Their long game strategy has always been to somehow remove the finger from the dyke. Once the water starts rushing in, nothing could stop it. What they want is nothing short of the Manhattanization of Palo Alto, but in order not to alarm the public, they use clever language that's supposed to disguise them as something else." Or as I predict above, they just want height limits relaxed for housing on ECR, Cal Avenue and Downtown....for now. Then it will be several blocks in each direction. Then more and more. We have to hold our ground and our height limit now. Gale Johnson - sadly, Palo Alto isn't family friendly anymore. But it's the prices, not the size of the apartments. I'm in my late thirties with my kids in daycare in Palo Alto. Most of the other parents at my daycare used to live in Palo Alto but have moved elsewhere - San Carlos, Redwood City, or San Jose. They are waiting to move their kids until kindergarten. I think this has been going on for a while. It's not really a surprise that elementary school enrollment has been going down. I don't know why the enrollment committees always say they are surprised. If they knew anyone with kids in daycare, they'd understand what's going on. Mauricio - I don't think there's a need for conspiracy theories. Like I said, most of the other young parents I know are either struggling to stay in Palo Alto or have already moved out. I own my home, but obviously I'm sympathetic to the struggles of the people I know, even if they aren't as well-off as I am. A few more buildings like the Marc wouldn't bother me, but they'd do a lot of good for my friends. It's easy to see how they got 1000 signatures and why people who sympathize with them are "everywhere". How nice that Palo Alto Forward can afford to have Sam's Chowder House cater their events to push higher density housing on the rest of us. Seriously, who's funding events like this? Follow the money. I sure hope not a dime in taxpayer money is going for their events and their catering bills. "How nice that Palo Alto Forward can afford to have Sam's Chowder House cater their events to push higher density housing on the rest of us." They're paying for tge Sam's blowout with a bit of the money the PAF muckymucks made from their dense, underparked office developments. Of course I have to agree with you that it's the prices that are driving people away, but specifically families like the ones you mentioned, who need more than a studio or micro unit. And home prices will probably remain high and out of reach of so many.. But there was a disconnect between that comment re "family friendly" and the proposal to build more of the smaller units. Those units would be occupied by young workers who are single or married, but without children. They're not family yet. And there always seems to be buried in these proposals words regarding affordable housing and the support for it. What do the petitioners have in mind? Specifics please! And does anyone believe it's doable without rent control? There are lots of things to fantasize about but thaf's not a good one. Signing the petition is the easy part. And I'd like to live in the very heart of London for a few years. Probably Mayfair. At a very reasonable cost. There should be a program that makes that happen. Please let me know when I can do it. It's only fair.